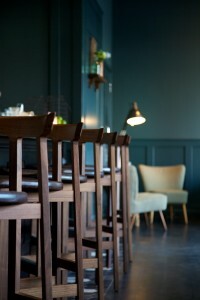 Our Portsmouth brasserie has been totally transformed with a new look. The huge space now feels both contemporary and cosy, with some lovely dark heritage tones that play beautifully against the light flooding in from the enormous marina-side windows. 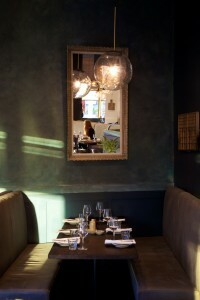 Lots of comfy banquette seating is already proving a favourite, along with two lovely family-sized booths. 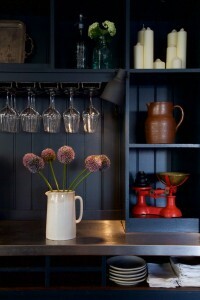 And for those who love a bit of drama we have a gorgeous 12-seater kitchen table with a chef’s eye view. Whilst contemporary lighting, which includes a stunning French chandelier, sits perfectly alongside a collection of authentic vintage kitchenalia and inherited pieces. Our newly re-styled bar is perfect for morning coffee over the papers, a quick tea-break whilst shopping, or a buzzing space to enjoy your après-work drinks. And perhaps our best new addition is our Fromage Bar – a beautifully tiled, wrap-around bar where you can sit and enjoy a deliciously seasonal artisan cheese-board with a glass, or two, of perfect French red. For Portsmouth’s webpage click here.